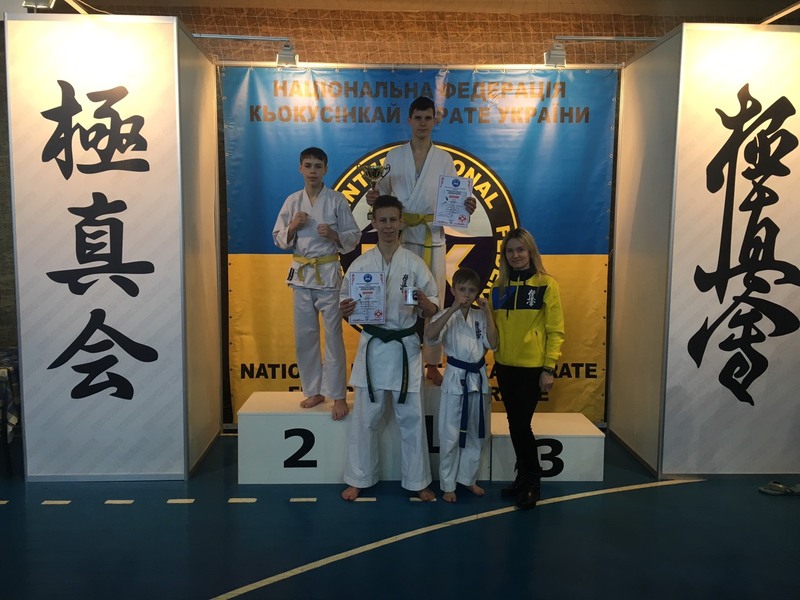 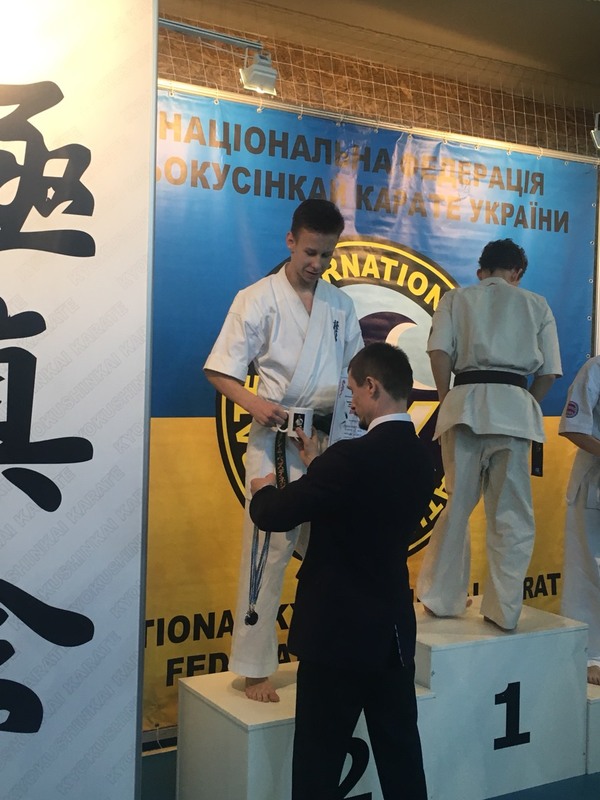 Four Volynian members of our Federation participated in Kyiv open kyokusinkai karate (IFK) championship among children, juniors (10-17 y.o. 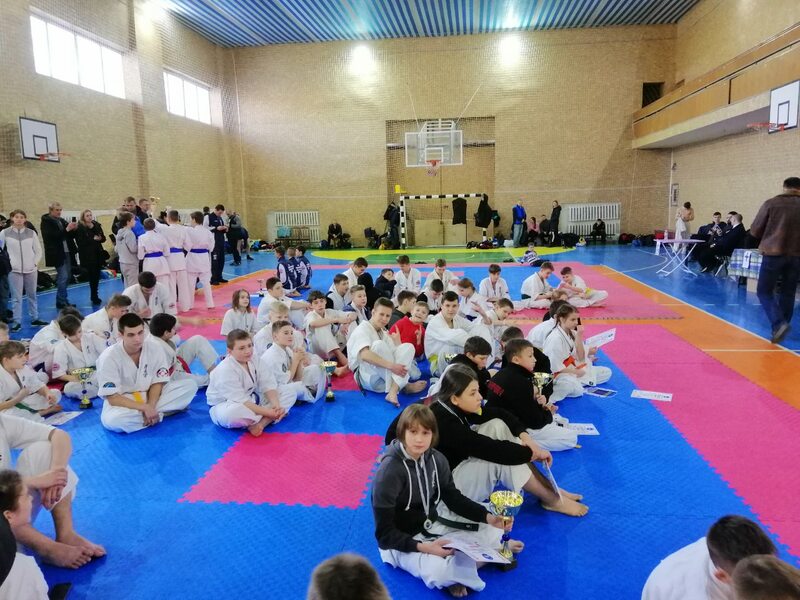 ), veterans (35+ y.o.) 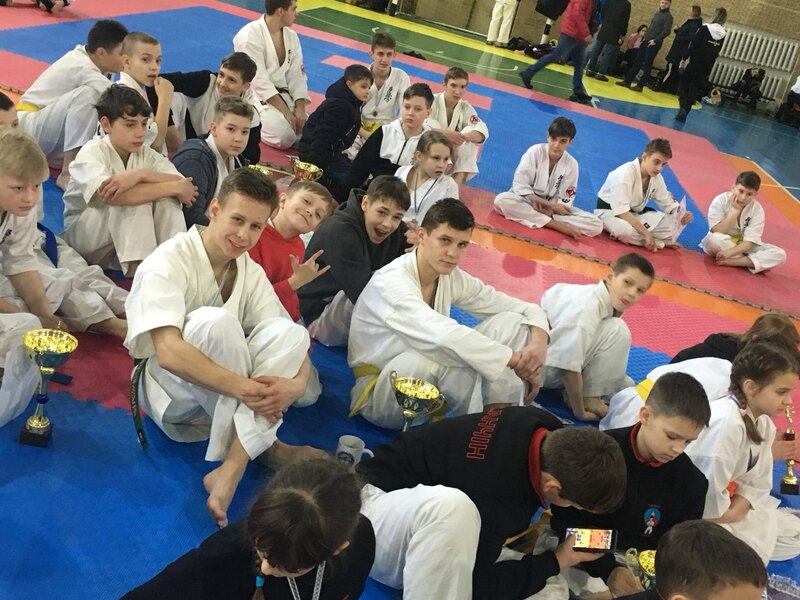 and adults, that was held at sports complex of Ukrainian Society of help to deaf people in town Pushcha Vodytsa. 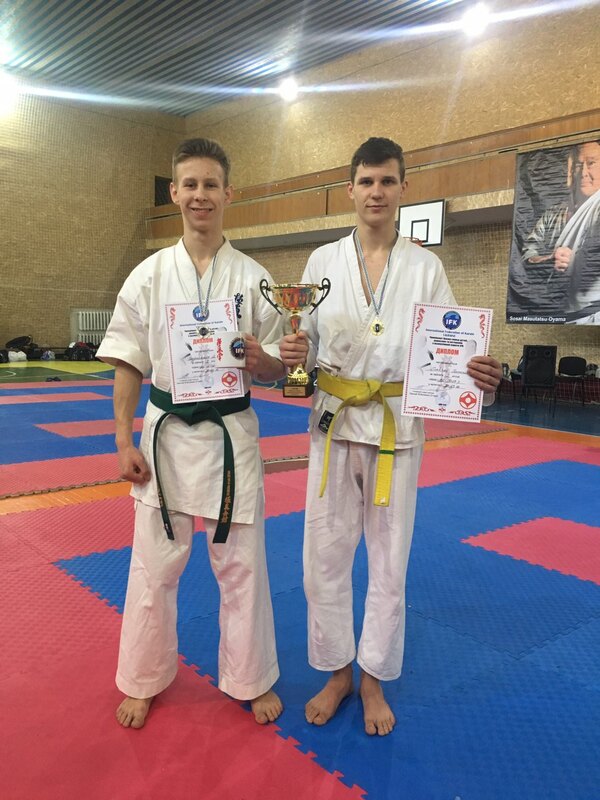 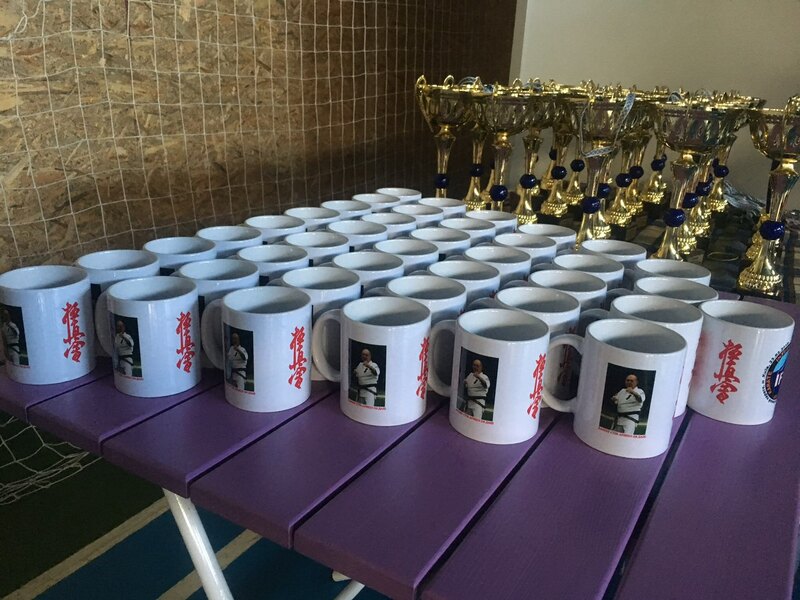 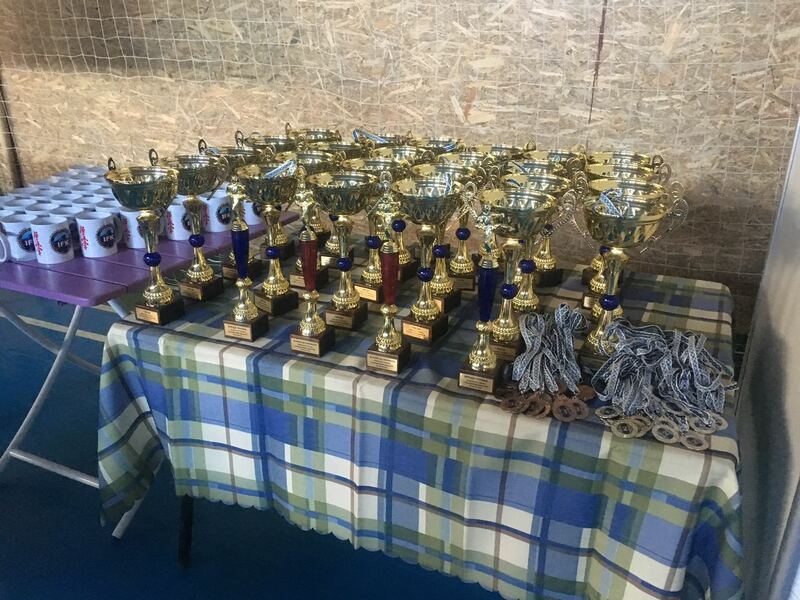 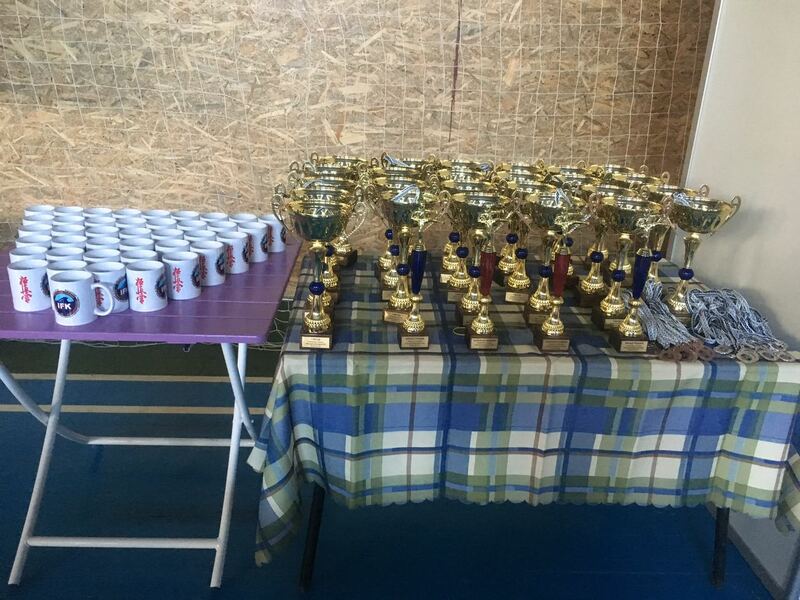 Our sportsmen competed in kumite section. 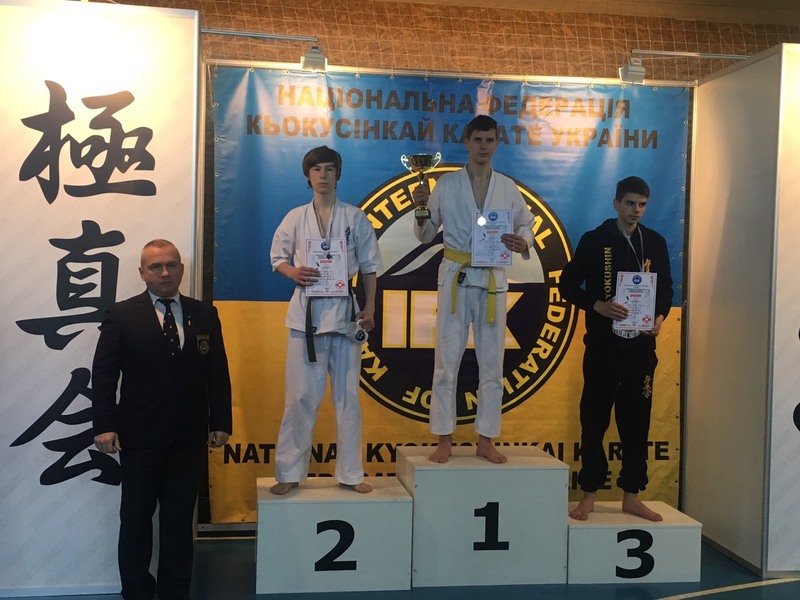 Glavichka Sviatoslav – 1st place among juniors 16-17 y.o., weight category below 63 kg. 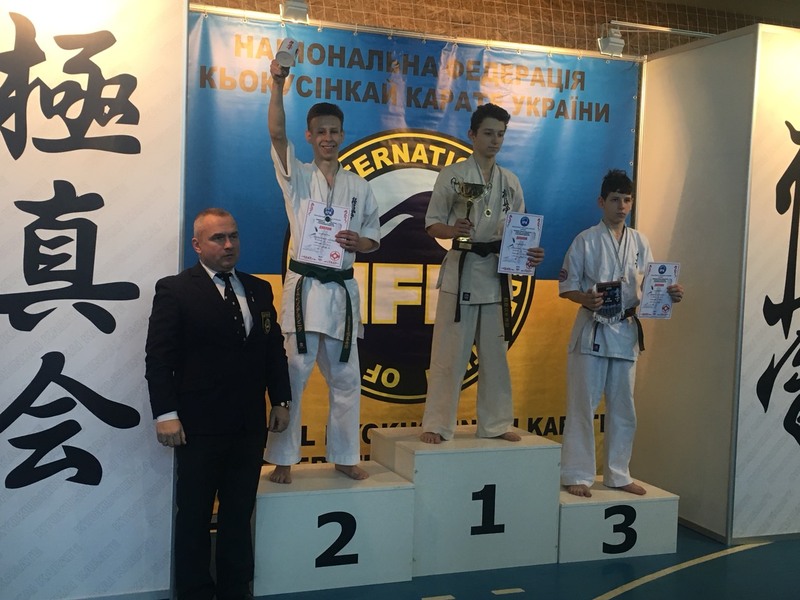 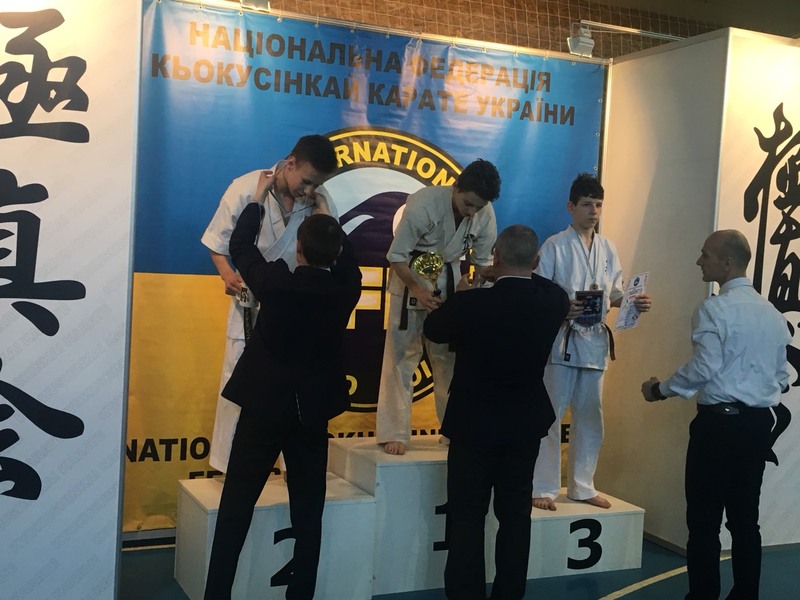 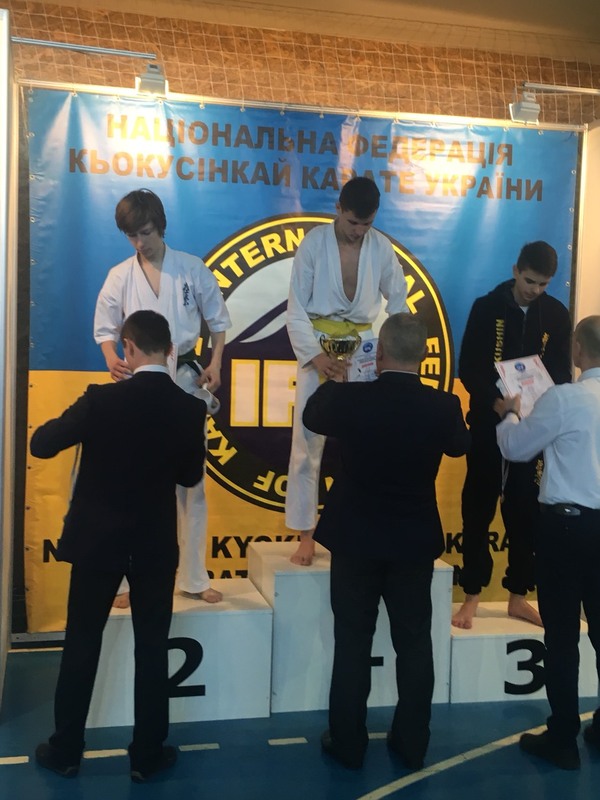 Bezdenezhnykh Maksym – 2nd place among juniors 14-15 y.o., weight category below 65 kg. 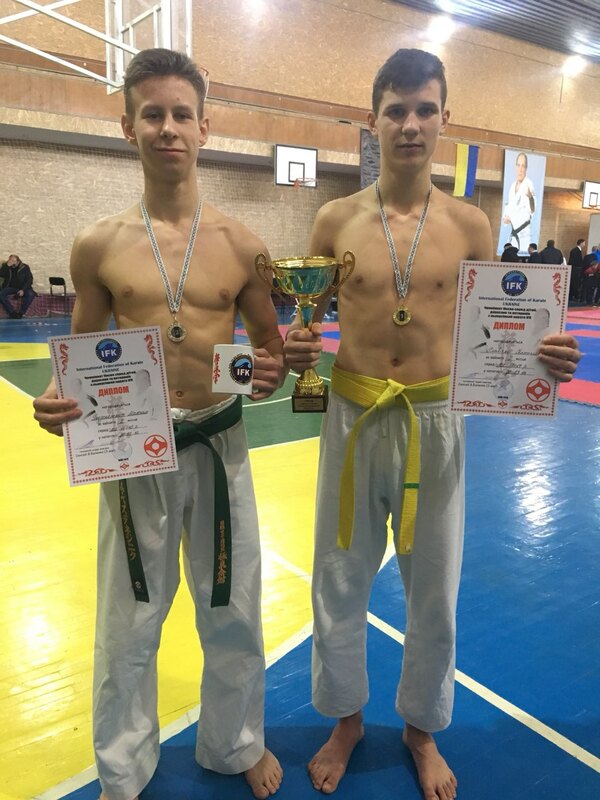 Kurlovych Oleksandr and Kandyba David failed to get to prize-winning places.